In the past, people would have to go to brick-and-mortar libraries or bookstores whenever they wanted to read a book. But in this age of Facebook and Twitter, the new breed of readers can, with just a few taps and swipes on their smartphones and tablets, immerse themselves in a new novel (or two) without even leaving the comfort of their seats. Welcome to the Wattpad era. Created by a Canada-based company, Wattpad is an online community that connects people around the world through the written word. Through the website, Wattpad users can create their own stories, get feedback and comments from their readers and directly interact with other authors and users. And did we mention that stories from Wattpad are free and can be read whether you’re online or offline? Yep, you read that right! Recently, Wattpad has taken our country by storm. It is now becoming a platform for aspiring authors, especially young writers, to showcase their stories. And if you’re lucky, you can even get your big break through Wattpad. Leng de Chavez is among the several who have published their work and gained a substantial following. And we are glad to have been given the chance to talk to her about her passion for writing and how joining Wattpad changed her life. 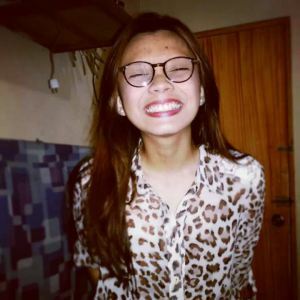 Leng de Chavez is a 21-year-old BS Human Ecology major at the University of the Philippines Los Baños. She says: “Hindi writing-related yung course ko, HAHAHAHA! Passion ko lang talaga ang pagsusulat. [My course isn’t writing-related. But writing is really my passion. ]” Her published works include The Despicable Guy and If I Fall. Tweet her @lengsungit. Hi, Leng! When did you start posting your stories on Wattpad? December 2010! Dapat kasi sa Creative Corner ng Teentalk ako magpo-post ng story (The Despicable Guy Book 1) kaso masyado akong nahirapan sa format doon. Mas nadalian ako sa Wattpad kasi mas simple ang features niya and mas accessible sa readers dahil sa Wattpad app. What was the first story that gained thousands of reads and responses? Did you ever worry that your next stories won’t be as successful? The Despicable Guy Book 1 ‘yung unang pumatok sa Wattpad. Actually, no. I’m not really after the success thing ‘pag nagsusulat ako. Gusto ko lang magsulat at magpasaya (at magpaiyak minsan) ng mga tao. Lahat ng stories ko may sari-sariling success ‘yan. Of course, mahirap tibagin ang success ng TDG kasi doon ako nakilala. Hindi ko naman goal na magkaroon ng competition sa mga kwento ko. I’m beyond grateful na may mga nag-aabang at nagbabasa sa kanila. 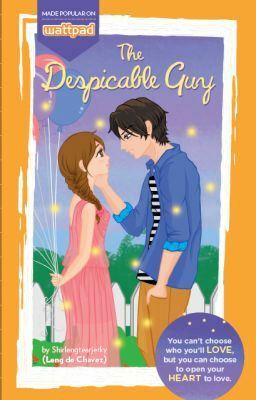 (The first story that became popular on Wattpad was The Despicable Guy Book 1. I’m not really after success when it comes to writing. All I want to do is write and make people happy [or sometimes sad]. All my stories are successful in their own right. Right now, some Wattpad stories have been turned into movies. Has TDG been optioned for a movie? Are you open to it? Sad to say, walang offer para gawing movie ang TDG. As of now, hindi ko masasabing open ako for a movie. Maraming factors akong kino-consider pagdating sa ganyan. Can you tell us the story of how TDG was published into a book? Si Denny (HaveYouSeenThisGirl) ang nag-recommend ng TDG sa Summit last year. Ayaw kong maniwala nung naka-receive ako ng e-mail from them. That time kasi kakaunti pa lang ang napu-publish na stories so sobrang big deal pa ‘yon. When books are published, it’s inevitable that the stories will be edited, and sometimes authors are a bit protective with their original stories. Was there a moment when you had second thoughts? Sa editing naman ng TDG Book 1, ako na mismo ang nag-overhaul ng kwento. Three years old na rin kasi yung story bago siya nakuha for publishing and marami talaga akong gustong baguhin. May times na nag-hesitate ako, pero may tiwala ako sa editor ko na mapapaganda niya ang kwento. The book turned out better than I expected. Mas maganda pala siya ‘pag English! (With TDG Book 1, I overhauled the entire story myself. It was already three years old before it got picked up for publishing and there were a lot of parts I wanted to change. There were times when I hesitated but I had faith in my editor’s ability to improve the story. 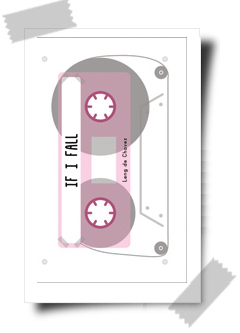 What made you decide to self-publish If I Fall? Mas nauna kong gustong i-publish ang If I Fall kesa sa TDG. Late 2012 ko pa pinagpaplanuhan kung paano gagawin ‘yon. Compared to TDG, mas protective ako sa If I Fall kaya self-published siya. Gusto ko may pakialam ako sa covers and stuff. Tsaka nung una hindi ko nakikitang papatok ang If I Fall if ever man idaan siya sa traditional publishing like TDG. What’s the difference between publishing TDG and IIF? Pros? Cons? Mas madali ang publishing TDG since hawak siya ng Summit Media. Sa IIF kasi, lahat ako ang naghandle. From editing to shipping the books. Ang pros nung sa TDG, hindi ako nahirapan sa marketing, selling and branding. Mas madali siyang mahanap sa bookstores and stands. Ang cons naman nun, wala akong masyadong say sa process, especially sa book cover. Sa IIF naman, ang pros nun ay mas personalized siya. Pinag-isipan naming mabuti yung cover and layout. Kaso mas nakakapagod at matrabaho yun kasi nga ako pa rin ang nagsi-ship ng libro sa buyers. (Summit Media took care of publishing TDG so it was easier for me. With IIF, I handled everything. From editing to shipping the books. With TDG, the marketing, selling and branding was all easy peasy. It’s also easier to find in bookstores and stands. But on the flipside, I had very little say on the process, especially on the book cover. Can you mention some of your favorite movies? How about your favorite TV shows? And the last book that made you cry? Hello BookBed! I’m glad you’ve done interviews like this. Leng De Chavez is one of my favorite Wattpad authors. O.o What do you mean? Like write a review about it in my blog? Or write about a review on it for us! 🙂 If you decide to do so, we encourage you to post it on your blog as well and link it back to us 🙂 Let us know!